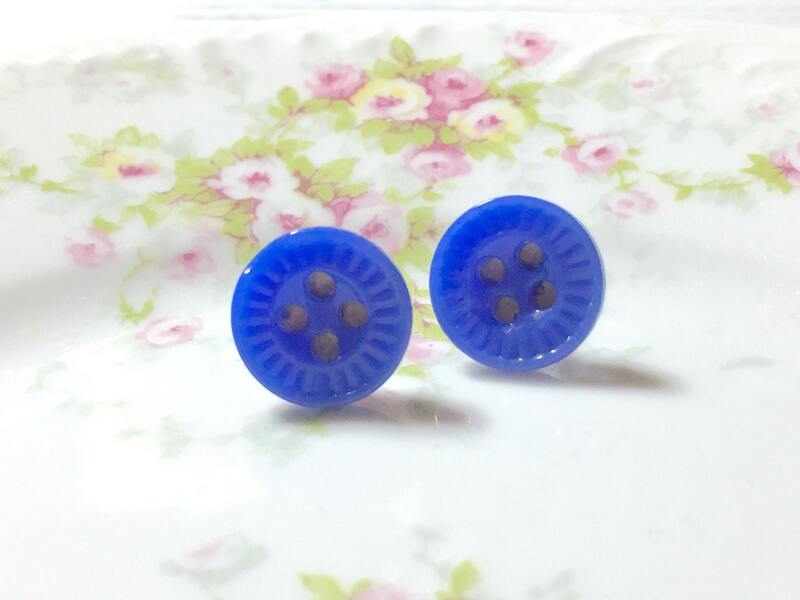 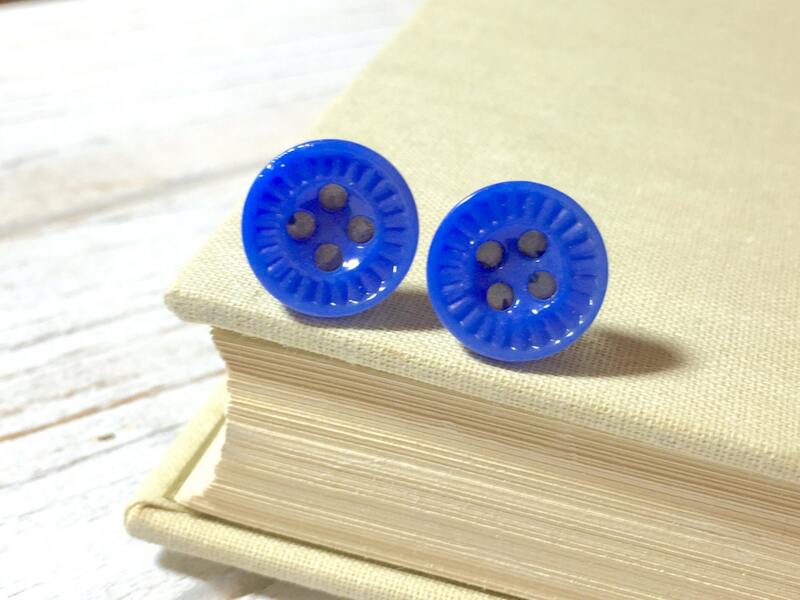 These post earrings are made from antique glass sewing buttons in a cobalt blue color with a textured looking rim that looks like a pie crust. 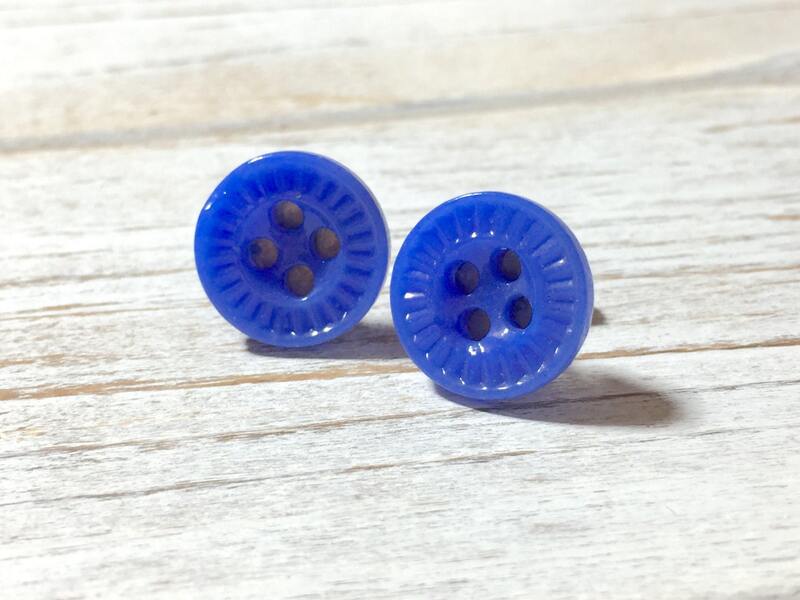 They are just perfect for adding a crafty touch to your ear lobes. 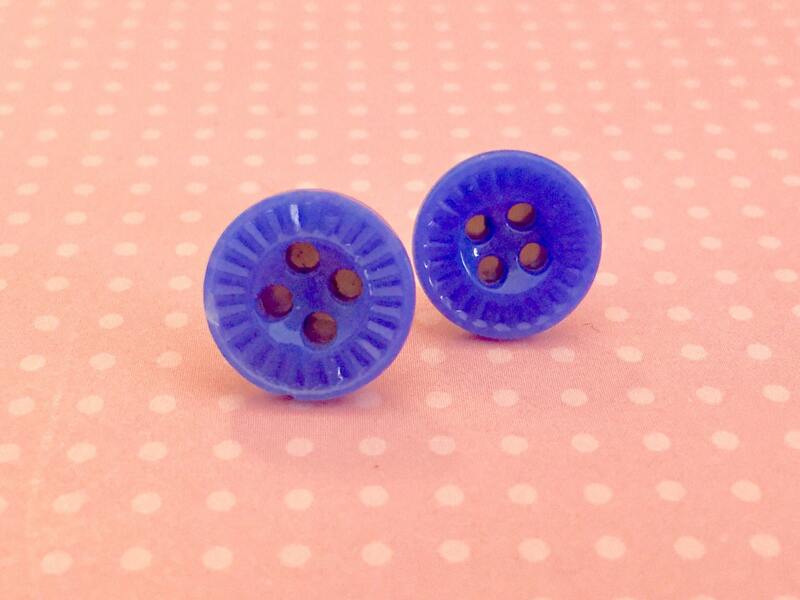 These charming ear posts measure just over 1/2 inches (13mm) in diameter.